Team to provide evidence to NICE about effective oral health promotion approaches for general dental practice teams. The National Institute for Health and Care Excellence (NICE), which will ultimately make recommendations for how this oral health promotion activity will be implemented, has appointed dental researchers from University of Plymouth's Faculty of Medicine and Dentistry to collect and review related evidence and present it to the NICE committee responsible for developing public health guidelines. The research team also includes specialist socio-economic researchers from University of Plymouth who have experience in analysing health-related systems. The British Dental Association’s (BDA) library manager, Helen Nield, will also be joining them as the team’s information scientist, search strategist and database interrogator. 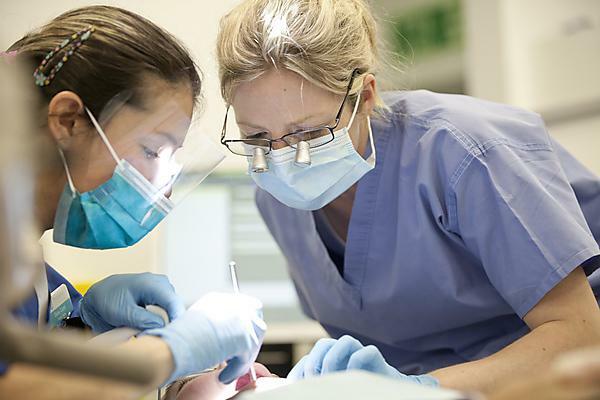 Under the anticipated changes to contract arrangements, dentists will be encouraged to promote oral health awareness and prevent oral disease, then organisations commissioning their services will need clear and up to date evidence to identify the best methods to use and what level of effectiveness to expect. The research team is led by Professor Liz Kay, Foundation Dean of Peninsula Dental School and Professor of Dental Public Health, and includes Dr Mona Nasser. Professor Kay led the 1997 Review of the Effectiveness of Oral Health Promotion for the Health Education Authority. The research team will present its findings to NICE in January 2015.